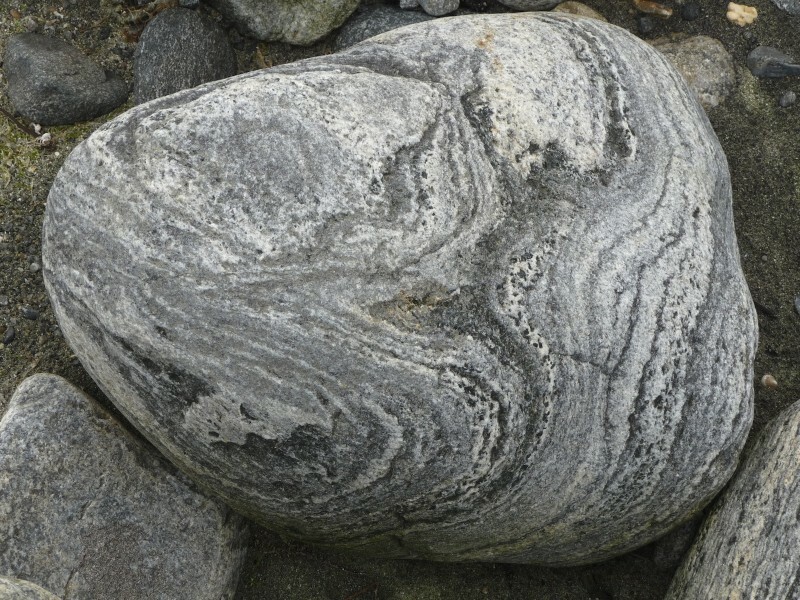 Lewisian gneiss is the oldest type of rock found in Britain, having been formed about three billion years ago. 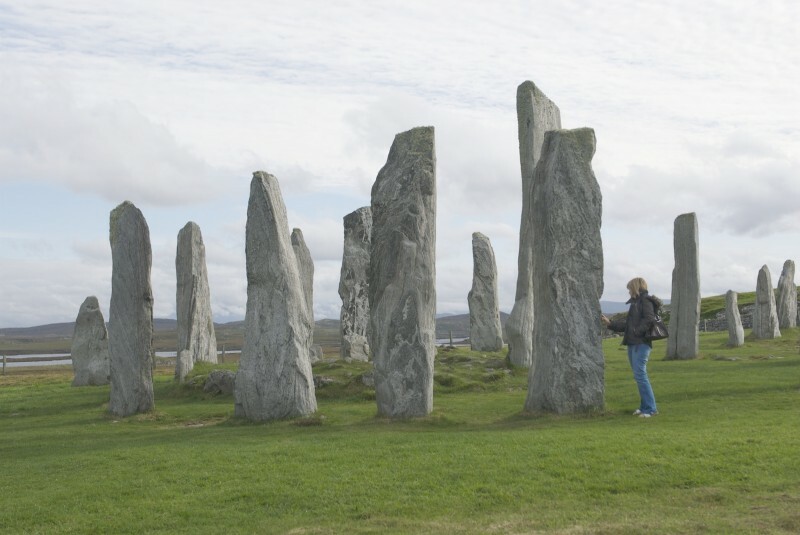 Its name is derived from the Isle of Lewis, where it’s widespread. Being the kind of person who gets excited about rocks, I was keen to find some Lewisian gneiss when we went to the Western Isles on holiday in 2008. I was expecting to have to search for it, but in fact it was everywhere – in beach pebbles and boulders, rocky headlands and cliffs. 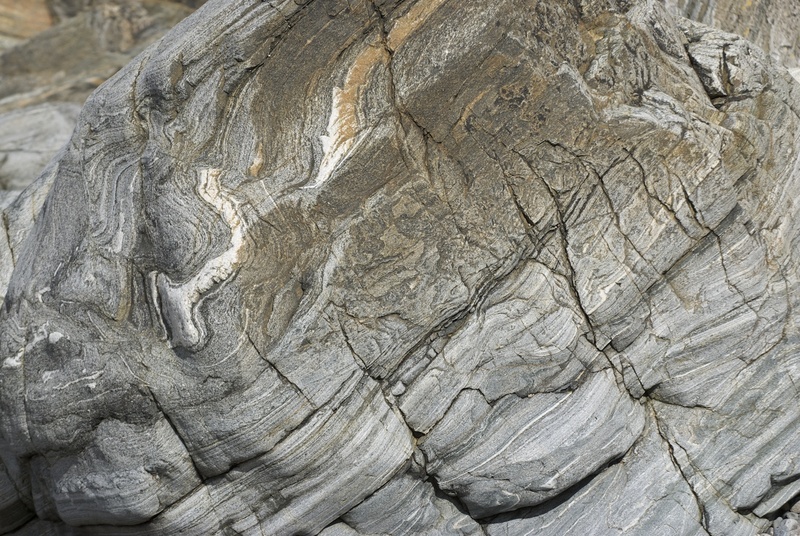 Gneiss is metamorphic, meaning that its structure has been altered by volcanic heat and pressure. The original rocks were granite-like in form, but they have undergone massive upheaval as the Earth’s crust has become molten and then solidified. As a result, the gneiss displays layers ranging from white through to dark grey, and it is folded and contorted into flowing patterns. 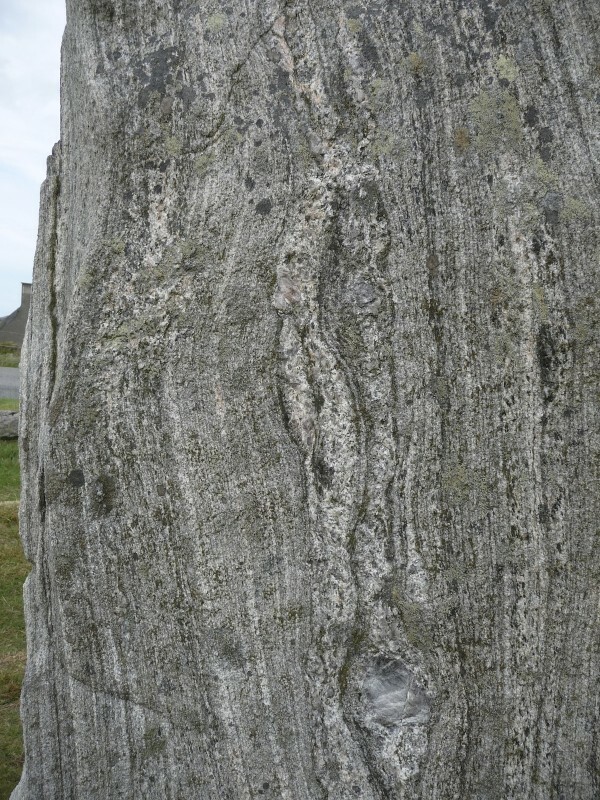 The amazing stone circle at Callanish contains some superb examples of Lewisian gneiss with incredible banding and crystal inclusions. 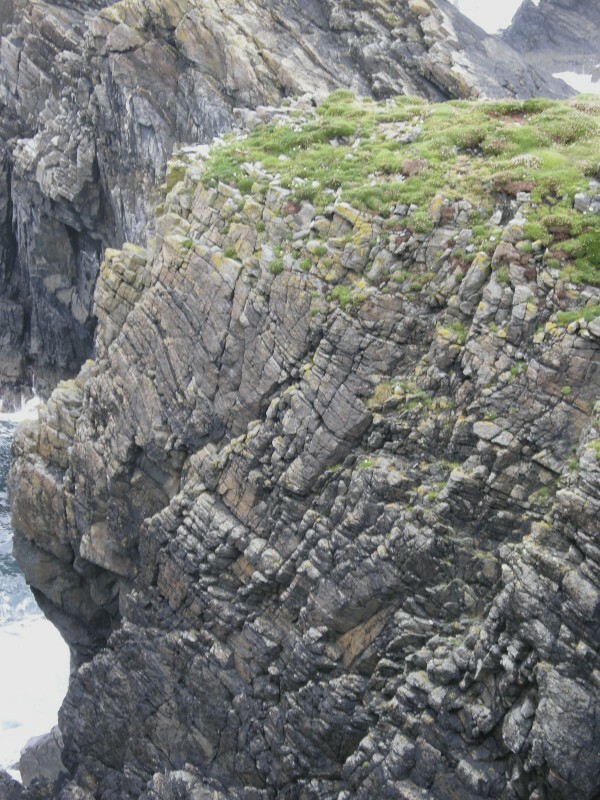 So do the cliffs at Port Ness, ravaged by the sea and covered in lichen and thrift. 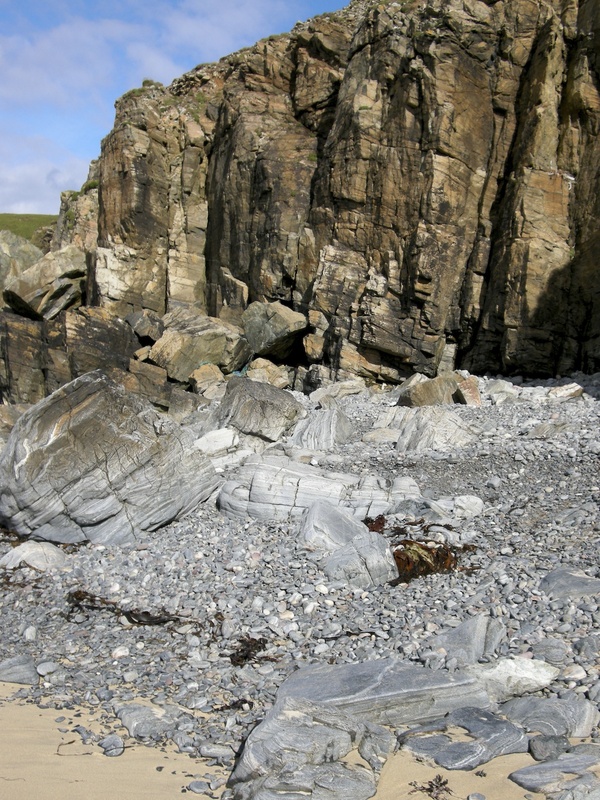 By the shore at Eoropie, what looks like a snow-boarder’s half-pipe is frozen in stone, its jagged and eroded ends protruding seawards, while the inside is smoothly curved. Evidence of early man’s leisure activities? I don’t think so… but a fascinating feature to explore, all the same! Needless to say, some smaller examples of Lewisian gneiss have ‘migrated’ southwards, and there’s one on my desk as I write. It’s roughly oval in shape, with parallel bands that have been formed and later twisted, as you would a Rubik’s cube, creating a distinct fault line right through the middle. I pick it up sometimes and marvel at it. 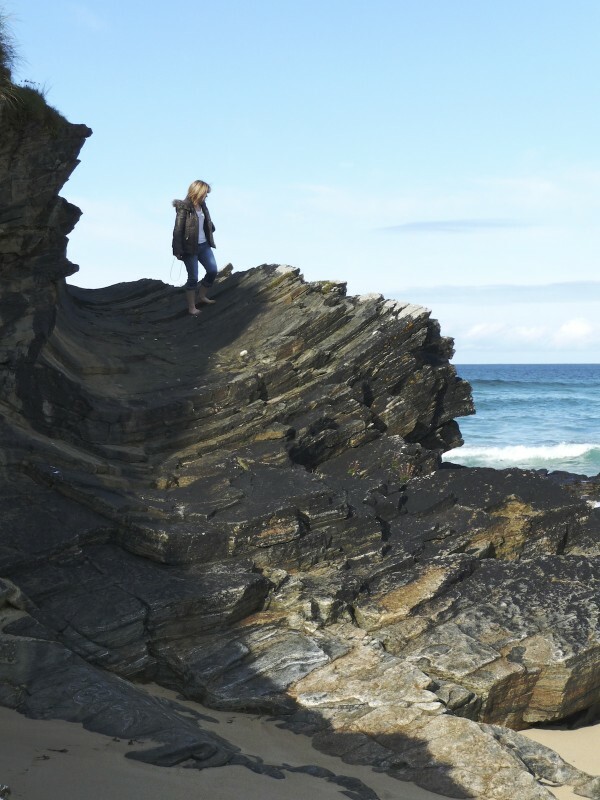 If you consider that the age of the Earth itself (according to recent opinion) is only 4.54 billion years, Lewisian gneiss certainly has a story to tell. Those are quite gneiss rocks! 😀 I thought so too!